The girls are creating an adventure story with Codey Rocky and friends. Checkout their news story! By 2019 all students from 5th-12th grade in South Korea will be required to learn computer programing. 5th and 6th grade students will learn coding 17 hours a week while students in 7th-9th grade will study coding once a week. The announcement by the Korean government sent a ripple through the after school institutions. New coding schools have been popping up weekly. However, the coding curriculum offered in most of these after school programs is a one-size fits all curriculum. With very few qualified or experienced teachers, schools must provide a teacher-proof curriculum where children follow a step-by-step program. With little wiggle room, students quickly become bored and rarely pursue coding on their own time. This is more often true for girls than boys. I've been teaching an all girls coding class for the past 18 months and keeping the girls engaged in coding has been my biggest challenge. While boys thrive on competition, girls need cooperation. None the less, pair coding plays a big role in our classes. In addition, girls will spend more time on the appearance of their programs or games, rather than on the features. Furthermore, girls respond more favorably to hands on activities rather than coding only projects. Because I needed a new approach to teaching girls coding, I have spent a lot of time and money on different coding software and hands on products. Finding a product that offers hands-on as well, as screen coding is a challenge. Because I am teaching girls, the programable robots I often find aren't cute enough to keep the girls engaged. The rare ones that are appealing to the girls, don't offer enough features and are usually aimed at young children. However, at the end of May this year a good friend of mine recommended a new little robot called Codey Rocky. Codey Rocky is from MakeBlock. Since 2013, MakeBlock has established themselves as a leading innovative Edtech company. Codey Rocky is their newest and cutest robot which offers a lot more features than most of their competitors, with a cute design that is appealing to both boys and girls. Codey Rocky, coupled with three different apps as well as the MBlock 5 software offers an interactive experience for young children as well as, elementary and middle school students. Codey Rocky has over 10 electronic modules, including an LED dot-matrix display (Most popular feature among my girls), volume and light sensor, IR transmitter, and IR color sensor. These programable sensors give children the freedom to gain a wide range of electronic and software experiences. One of the most exciting features, and the reason why I think every class should have a set of Codey Rockys is the built in Wi-fi module. With the Wi-Fi module students can connect Codey Rocky to a local network to display online data, For example, my daughter who as asthma, setup Codey Rocky to report the day's air quality. Using her mobile phone as a hot spot she wears Codey Rocky around her neck when she walks to school and with a push of a button she can know if she has to wear a mask that day. While Codey Rocky's features are exciting, without the proper software, it would end up on the shelf collecting dust like so many other robots. Fortunately, the makers of Codey Rocky did their research and designed two distinct coding applications. The iPad application MBlock is specifically designed with young students in mind. The software guides students through a series of challenges where students learn the basic fundamentals of coding. These challenges are a great introduction to coding, as well as, an introduction to the computer version of the app. MBlock 5 is designed based on Scratch 3.0. It offers a similar block-based programming language with the same exciting features. In addition, MBlock 5 is compatible with all of MakeBlock's robots as well as many other open source hardware. My girls class loves Scratch because they can decorate and customize characters and settings for their projects and games. Therefore, when I introduced MBlock 5 for Codey Rocky the girls were easily able to take advantage of many of Codey Rocky's features because of their experience with Scratch. As much as we love block-based programming languages, I wanted to introduce my girls to a text-based language. For about a year the girls have been learning Java Script. Jumping from a block-based programming language to a text-based language is very challenging. Not only do the students have to understand the various coding concepts, but they also have to worry about syntax. The make this transition smooth, the people at MakeBlock added the option for students to switch to Python with the simple click of a button. Students can easily see how their block-based code translates into a text-based coding language in real time. So what makes Codey Rocky appealing to girls. When I introduced my daughter to Codey Rocky, she immediately named him. And for the next hour she must have created a hundred different facial expressions for Codey. After she had exhausted every combination of facial expressions she moved on to simple animations. It wasn't long before Codey had little animals bouncing across his display. Next came the sounds. Codey has about 32 unique sounds, from a cat's meow to an explosion. My daughter tested each sound with a different facial expression and animation. Then she discovered that she could code her own music with MBlock 5. In a recent coding camp my students created their own pianos with Makey Makey using Scratch and some bananas. So, my daughter was excited to discover that she could make music for Codey Rocky. Another exciting feature my daughter loved was Codey Rocky's compatibility with Lego. 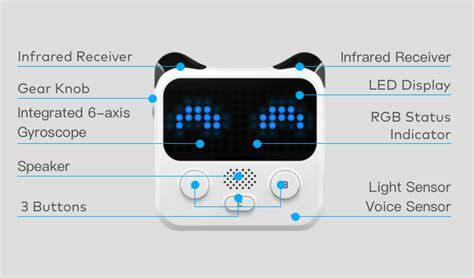 Codey Rocky has holes on the back and sides which allow students to customize the little robot with their own designs. We've only had Codey Rocky for about 2 weeks, but already it is the most requested robot in every one of my coding classes. Codey Rocky is ready to go right out of the box. It fits a wide range of students ages and abilities. With a Scratch like programming language, students will be able to create simple and advanced coding programs for Codey Rocky. Finally, with 10+ electronic modules, Codey Rocky has endless potential in any classroom. Setting an example for our students is something every teacher strives for each day. That is why I have decided if I am going to preach the importance of learning new skills to my students they I had better put up or shut up! I studied coding almost 20 years ago. The program was tough and it was based mostly on memorizing syntax and everything was text-based. Now that I know more about what kind of learner I am, I know that this method of teaching did not suit me. This is probably why I switched to Networking half way through the program. Networking allowed me to work with my hands and build physical things. It was easy to understand when something didn't work. However, in software development I couldn't always see the problem which made understanding the different coding concepts difficult. However, when I started to introduce my students to coding back in 2014 I was able to use visual tools like Code.org and various iPad apps. Three years later I am much more comfortable teaching coding concepts to my students. Whenever we face a difficult challenge I am not afraid to say "I don't know" or "Let's find the answer together." I discovered Code.org while researching digital storytelling. I was fascinated by the methods used to teach kids to code. The syntax was replaced with colorful blocks and the problems were based on cute characters. But most importantly, it was fun. If I had learned to code this way 20 years ago, I may be working as a professional in the IT industry instead of the classroom. After completing most of the activities on Code.org I wanted to see if I could get back into coding after being out of practice for so long. This ritual continued for a few years. Almost every week I would find a new course that promised to help me go from beginner to professional coder in no time. But, the end result would be the same. The style of learning would not match my own. As disppointed as I was, a lot of good came out of those failures. I learned that if I was struggling with theses tutorials, maybe my students would as well. So I made sure to supplement our basic coding lessons with several unplugged activities to support all my students unique learning styles. But I felt something was missing. I still wanted to learn more advanced coding so I could design my own apps for my classes. It took a long time but I believe I have found the course that offers a teaching style that fits my own. More importantly I am more motivated to learn than ever before. Maybe it's because I am looking at a career change or maybe it's because I am met so people in the IT industry that have been nothing but encouraging. Whatever the reason, learning to code will be a big part of my life for a long time! Stay tuned for more updates on my coding adventure! Can coding students learn creativity through theatre? Over the past few winter and summer vacations, we have hosted coding camps. In our first year, we introduced our primary students to coding through unplugged and iPad activities. (Blog link) In January 2017 we hosted a Littlebits camp. Both camps were extremely successful, and we managed to get our students excited about coding. However, this summer I was hesitant to host a new coding camp. 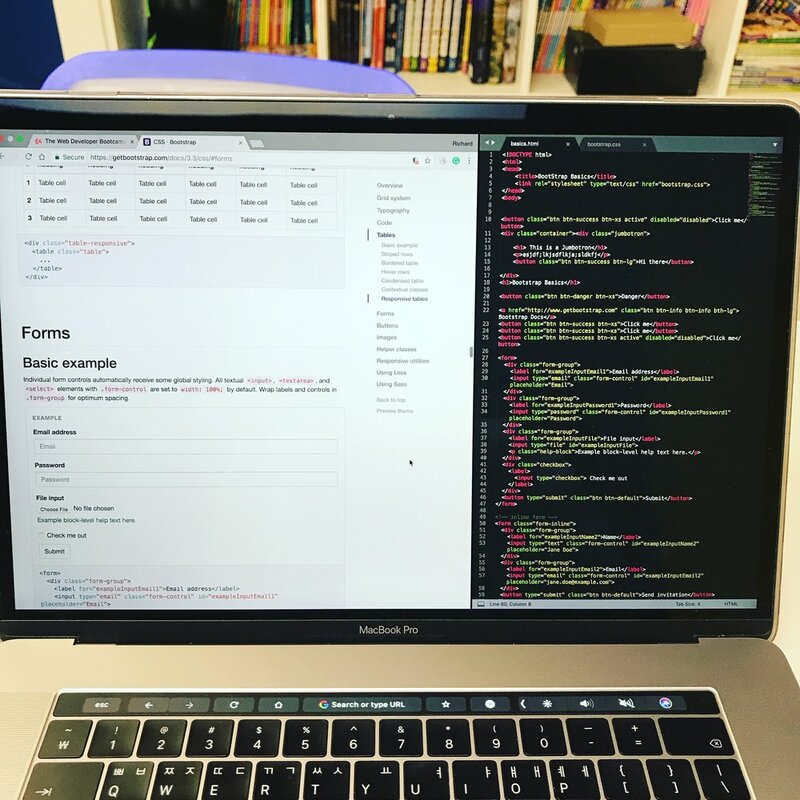 One of the main reasons was that I had started a Saturday coding class with 5 of my students. But the main reason for not starting the camp came from what I learned from the last two camps. 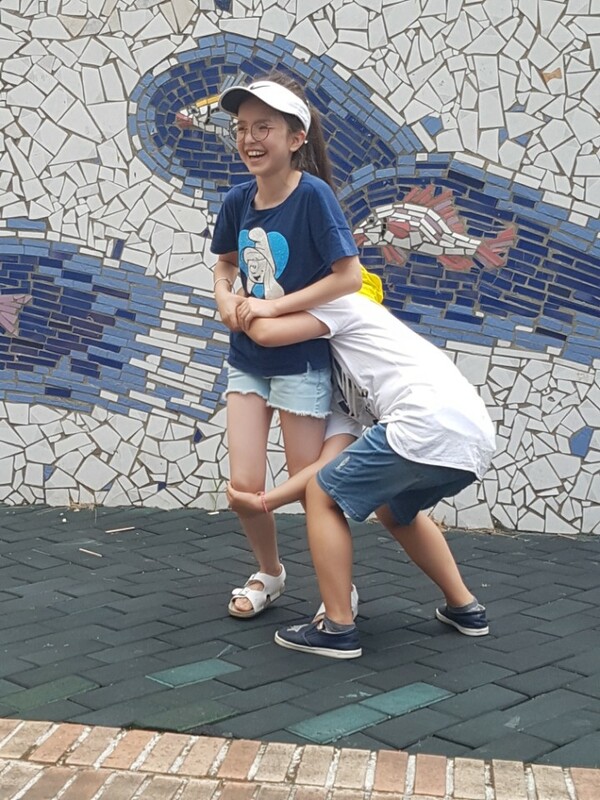 Korean children are very dependent and lack creativity and problem-solving skills. During the first two camps, students struggled with generating their own unique ideas and constantly asked for assistance while debugging. They were afraid to make mistakes and continued to ask "Is this right" during each activity. This dependence comes from an educational system that is very teacher centered. Also, students are taught that test scores are most important and the process or the journey is not. Therefore, I decided this summer I was going to shake things up and do something that was outside their comfort zone as well as mine. The idea to host a theatre camp came from my visits to a local international school. There, drama class was an important part of student learning. 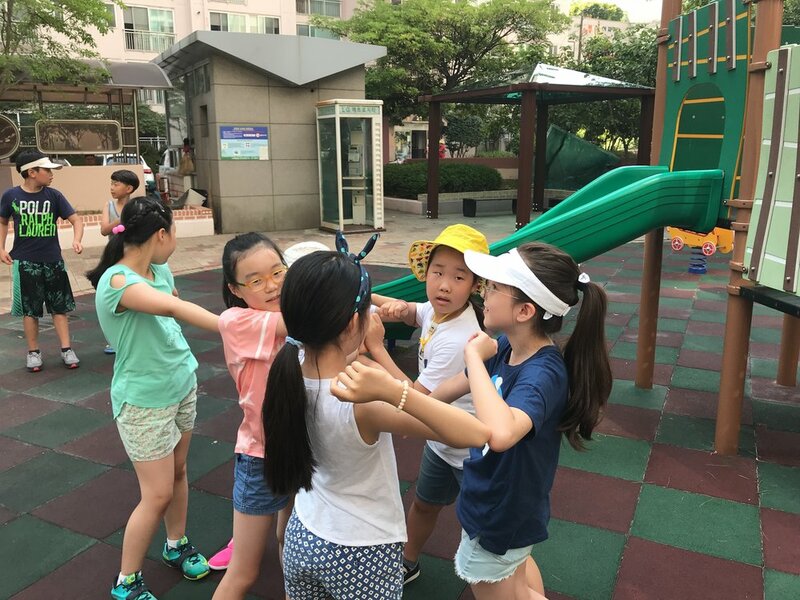 Teachers at the school noted that children build confidence, creativity, focus, accountability, teamwork, and many other skills in drama class. While this was exactly what I was looking for I still had one problem. I'm not a drama teacher, and I had very little experience in teaching acting or theatre. So, I did what I alway do when learning a new skill, I read and watched everything I could about theatre and how to teach theatre. My research lead me to two books by Denver Casado, Teaching Drama: The Essential Handbook: 16 Ready-to-Go Lesson Plans to Build a Better Actor and Drama Games for Kids: 111 of Today's Best Theatre Games. The first book was a step by step guide to 16 complete theatre lessons. Each lesson consisted of a warm-up, skill building activities, and reflection. Each lesson focused on 1 or 2 different theatre skills, like building an ensemble or movement and space. The lessons and warm-up were easy to follow and thankfully there were numerous samples on YouTube to help. The camp ran for 4 days from 10am-12pm. We spent the an hour and a half outside and 30 minutes inside. We would have spent the full two hours outside but around 11:30 we lost the shade. I followed each lesson from Casado's book pretty closely, making adjustments on the fly. I really enjoyed watching kids be kids. Korean children spend most of their day in a classroom hovering over worksheets. I was happy to offer them a different kind of learning experience. One of the biggest challenges was keeping the boys from getting out of hand. There were only two boys out of eight kids so pairing them with a girl was tough. However, the girls weren't unconformable working with the boys. In fact, they were very encouraging. At the end of each class, we headed back into the classroom to write our reflection journals. I gave students 2-3 specific questions based on the theme of the activities. I adapted the questions from Casado's book to fit the English level of the students. Also, we spent a few minutes discussing the questions and key vocabulary. On the last day of the camp students worked in two groups and wrote their own pantomime movies. They're goal was to tell a story using only pantomime. After filming each movie the students worked in pairs to edit the movies in iMovie. Overall I was happy with how the camp turned out. Students enjoyed the outdoor learning and had the chance to express themselves through unique activities. About month before the camp I held a parent meeting with some of the parents of my English students. The goal of the meeting was to discuss our current coding classes. However, I decided to introduce the theatre camp at this time to this group because these parents more open minded than most Korean parents I have dealt with over the years. The parents were pretty receptive to the idea, and all of my coding class students were signed up. However, I heard that some parents weren't too happy with the camp because they didn't fully understand what their children were learning through the different activities. I'm guessing that this came from the reactions or explanations of their children. For example, when I asked the kids about what they did in the camp they said: "We played a lot of games!" Now that might be ok, but you have to understand that in Korea, many parents don't see the value of learning through games. So, if I want this camp to be a regular event, I will have to host another parent meeting to show them exactly the different skills their children learned as well as explain the benefits of play. I am currently planning Season Two (as my wife calls it) of our theatre camp. My original idea was to go more into script writing and filmmaking. My goal was to introduce students to the different aspects of making a short movie. However, from past experience, I learned that students weren't that comfortable in front of the camera. Hence we've made many podcast stories in the past. On the other hand, I do believe they would benefit from learning how to write a script, act, direct, and edit a movie. I chose to use something that I know will get all my students excited about movie making! MINECRAFT! The up and coming update for Minecraft Pocket Edition, will make movie making and exciting and fun reality! Look for a future post once I have the camp planned. Since buying my first iPad in 2011, it has been my goal and my dream to integrate coding and literacy. Technology has changed over the past five years, but more importantly the mind and attitudes of my students' parents have changed. STEM or STEAM has been a hot topic in the West for a long time. However, here in Korea, the most connected country in the world, coding and computer science in schools has lagged far behind other nations. There are robotic camps and Saturday classes here for children, but there isn't a connection between those classes and what the children are learning in school. Furthermore, the skills they learn in the STEM like classes after school are not being encouraged or nurtured to prepare students for the future. These days a new gadget for teaching students to code comes out every week. Some of these new products are innovative and would fit well in any classroom while others are gimmicky. When looking for new tools for teaching coding or STEAM, I judge products on three criteria: 1. Flexibility, can this device be used in different across content areas? 2. Cost, I don't mind paying a little extra if the tool is well made and durable. 3. Accessibility, what is the learning curve for the device? Will I have to hover over students to help them every time they run into a problem or will they be able to work independently? A lot of the tools we purchased for our maker space and STEAM classes have fit all three categories. For example, the newest addition to our class, Littlebits meets all three criteria. Although Littlebits is expensive, the bits are well made, and the classroom support is second to none. What drew me to Podpi was that students would learn how things work rather than just learning how to drag a block of code from left to right. "The complexity of today’s technology has been abstracted, and there seems to be no need to understand how things work anymore. Just download an app and run it or Just follow the steps.” Many apps or simple robots do not teach students the "How" only the "What." "Podpi fosters curiosity, creativity and perseverance through trial and error. Hands-on activities and circuit building are key elements coupled with programming to understand the relationships between the virtual and physical elements." However, the biggest draw of Podpi was the literacy connection. Students read a large and colorful comic book with unique characters that support student learning through clever storytelling, diagrams, and hands on activities. I created a special Saturday morning class for two very eager young coders. Both students are in grade 3 and have a knack for coding. However, this would be their first time using a computer to write actual code. For the past two years my students have used iPads to learn coding, usually with a blocky coding language. However, because these two girls were keen on coding I thought it was time for them to try coding on a computer. Right off the bat we ran into a few small hiccups. The first was neither girl had any typing experience. Both girls were used to smart phones and tablets, and had little experience using a computer. To combat this problem the girls took turns typing and giving instructions. This turned out to be great for the girls because they worked really well together and enjoyed sharing the work. The second problem was time. I only had them for an hour and it would take the full hour to complete each challenge. But, after spending the hour working on the challenge the girls felt a real sense of accomplishment when the task was complete. I highly recommend Podpi for home or classroom. The instructions are well planned and the challenges increase in toughness over the course of each book. Podpi offers a mix of coding and hands-on activities that will keep students engaged for hours. We love the stories and my students eagerly await the next book each month. (The girls don't know that I have seven books already!) The team at Podpi are fantastic and their technical support is excellent. I've contacted them several times when I was stuck on a challenge for help and even with the huge time difference between the US and Korea, I've gotten real time help! From December 5th-11th my EFL students participated in the Hour of Code from Code.org and learned about coding through some unplugged activities with board games from ThinkFun. On the first day, my students learned about coding through the new Minecraft Designer activities on the Code.org website. Students coded the behavior's of the different mobs found in Minecraft. Last year students coded Steve or Alex around a virtual world. However, this year students were able to code the individual behaviors of some of the most popular mobs. For examples, students coded cows to follow them and zombies to spawn at night and attack them. Over all my students enjoyed the experience. However, my more experienced students said that it was a little too easy this year. Most of them were able to finish the activity in less than 30 minutes. My fourth grade students playing Code Master and Clue Master from ThinkFun. On the second day of coding, students learned computational thinking, problem solving, and teamwork through 3 board games from ThinkFun: Clue Master, Code Master, and Laser Maze. Students split into pairs and worked on one board game for 15 minutes. After 15 minutes students switched games and worked on different puzzles. After 30 minutes my students come together as one group and completed the challenges in the Laser Maze. I was glad that I introduced more unplugged activity this year. Students worked well together and learned a lot about problem solving and computational thinking. Of all the activities, Laser Maze proved to be the most popular and the most challenging. Students enjoyed seeing the laser bounce off mirrors and hit the targets. After two days of coding students reflected on their experiences in their coding journals. My students have been keeping coding journals in Book Creator for the past 2 years. In their journals they added photos of their certificates and screenshots of their code. Each student wrote about the code they learned as well as their feelings about the experience. My goal for the Hour of Code was to get students excited about coding and to expose my students to the world of coding. We will be hosting a Littlebits workshop at the start of our winter break in January and I am happy to say that most of my students are very excited to participate. After vacation I plan to open weekly STEAM classes using Littlebits, Swift Playgrounds, Podpi, and Bloxels. At the beginning of August I opened a small but special computer science class for my daughter and one of my English students. My goal for this class is to provide the two girls with a variety of technology experiences. I am not following a pre-made curriculum. I am building the curriculum as I go. For the past few weeks the girls have worked on game design using Bloxels. o help with game design we used a design course made by Coby Reynolds, a fellow Bloxels Ambassador. It was also a chance for us to use iTunes U for the first time in class. The course is broken into 5 sections, with each section having 2-3 assignments. Students assume the role of a game designer working for a pretend game developer. In the first lesson we dicussed different games and why kids liked to play them. We also, dicussed what makes games fun. Also, in this first section we setup our portfolios in Book Creator. Students would use Book Creator to document their assignments throughout the course. There were five activities in the design and planning section: 1. What makes a good game? 2. Design Brief 3. Back Story and 4.Sketching. In the first assignment the girls were asked to create a mind-map of the games they liked. Since we covered this topic in our first dicussions I had the girls jump to the third activity and use the mind map to plan their background stories. Digital storytelling is something a great way to engage young writers so I jumped at the chance to get the girls to write a backstory for their games. The next activity (Design brief) offered another chance for writing. Since we've covered persuasive letter writing in my English classes the girls were able to breeze through this activity. We decided to skip the final activity (Sketching the levels) only because the girls were quite familiar with Bloxels. However, the girls wanted to sketch their characters before creating them in the app. With our characters created it was time to build our games. We have five boards so the girls had two boards each to work with. The boards are still my favorite part of Bloxels. The hands on experience adds so much to the game. I showed the girls how easy it was to combine levels by sliding boards together. I also reminded them that the story blocks (My favorite) were a critical part of their ability to tell a story within the game. After designing the basic layout, the girls tested their games. This is a really exciting part of the game design process. Asia and Katy's faces lit up when they saw their characters come to life in the world that they created! However, my students are perfectionists so they quickly found flaws in their games and returned to the layout to tweak and modify their games. Asia and Katy use the Bloxels boards to build their games. We were just about finished our games when Bloxels released a new and exciting update! Besides the cool cartoonish design update the addition of the Brainboard really excited the girls. Being able to give special powers to the enemies was a huge game changer. Now the girls wanted to add Boss fights to the end of their levels. We had to add an additional class just for this activity! Now that our games were completed it was time to share and evaluate each other's games. With only two students in the class this was a quick and rewarding process. The course called for the girls to make a graph but like I said with only two students the graph would not be very telling. Instead the girls played each other's games and gave specific feedback about, playability, difficulty, and appearance. The final lesson in the course was to create a game trailer. We've created numerous book trailers and movie clips with iMovie so the girls decided to use iMovie to create their game trailers. We watched a few online trailers just to get an idea of what game trailers looked like. The girls were pretty happy with the final results. The setup of iTunes courses is a little challenging for young students. I would have liked the interface to have been a little more user friendly. However, with some assistance my students were able to figure out how to navigate through iTunes U. The girls loved working with Bloxels. They enjoyed every aspect of game creation. They spent most of their time on character design but other students in the past have spent more time on other areas. As a teacher it was very enjoyable to work with a tool that engages students so well. Even though, we spent about 4 hours in total over the course of a month creating our games the girls were enthusiastic about the game design from the beginning to end of every class. In the near future I hope to adapt this lesson with Minecraft PE. I believe that students could create mini games or adventure stories by following a similar lesson. Also, this lesson would work well with different coding apps like Hopscotch. On July 25-28 I held my first coding camp. Six students participated in various coding activities for 2 hours each day. Over all I am extremely happy with the camp and students shared the same feelings. All of students who participated in the camp were new to coding, with the exception of my daughter who acted as my assistant. We began the camp with a simple but effective unplugged activity "Code the Teacher" However, I asked my daughter to be the robot while I supported students. About a week before getting the camp started I had a fantastic Google Hang Out with Michael Luetjen (@Criticalclick). Michael offered some simple but very effective tips on getting my camp started. He walked me through how to get the most out of our Program the Teacher and how it can be used to help students understand basic coding concepts. With Michael's tips in hand I was able to engage students over the first hour with program the teacher. Students really enjoyed the activity and it was tough to get them to stop. In the second hour I used a game from ThinkFun called Robot Turtles. At first I was worried because the game is intended for kindergarten students and my students grades ranged from second to fourth grade. However, my worries were short lived because students loved the game. To add a little competitiveness to the second round I followed the Galapagos rules from ThinkFun. The difference between the original rules is that students can now place obstacles in front of their opponents. The goal of this game is the same as the original except students have to apply a lot more strategy to win. Looking back I would have played this in teams because students can quickly become isolated by other players. On day two we switched from coding to game design using my favorite app Bloxels. Bloxels Day turned out to be the favorite of all my students. I wrote a more detailed blog about it here. On day three we got back into hands on coding with Sphero and Ollie. I introduced Sphero coding through an app called Tynker. Since we were using 1-1 iPads Tynker was the perfect choice for students to practice coding Sphero without using the robot itself. Students quickly mastered Tynker and were ready to work with Sphero and Ollie. I followed a modified version of Sphero's Maze Mayhem STEM Challenge. I divided students into three groups of 2. One team worked on building the maze while the other two teams calculated Sphero/Ollie's time distance and speed. Once the maze was measured, teams worked on calculating and coding a program that would allow Sphero/Ollie to navigate the maze. While students enjoyed working with Sphero and Ollie, we didn't spend enough time on this activity. I would have liked students to have spent more time testing their code. However, it was a great introduction to Sphero and it will pave the way for future robotic activities in their regular classes! On the final day I introduced my students to Code.org. I chose the Minecraft Hour of Code activity because I knew my students loved Minecraft. Also, the Hour of Code activities are a great way to introduce students to basic coding concepts. After a brief overview of the coding concepts they would encounter my students began their Hour of Code journeys. I am happy to say that most students completed the Hour of Code in less than an our. I was happy to see them supporting each other with the different challenges. In the end they were pretty proud of themselves to complete all of the coding challenges! However, our day wasn't quite over. At the end of each day my students wrote their ideas and reflections in coding journals. We used Book Creator for the journals to make it easy to post pictures, and share their journals with parents. In the final hour of our last day students finished writing their journals and spent some time decorating with colorful pages and stylish fonts. Overall I am really happy with the way the coding camp turned out. My students had a lot of fun and I accomplished my goal of introducing coding in a fun and engaging way. My goal for future camps will be to introduce students to more advanced programs and activities. This September I am planning to take my students to the Island of Podpi! This summer I decided to hold a coding camp for my elementary students. The camp was filled with a variety of hands on and computer based activities. On the second day of the camp students made stories with Bloxels. The goal of the Bloxels lesson was to integrate storytelling and game design. Students arrived early to camp so they had time to read through the Bloxels guide book. They concentrated on the purpose of each block and they read a little about how to create a game. Students worked individually on storyboards. I asked them to create an adventure story, but I did not give them any more prompting. I wanted them to create a story that was their own. After completing the storyboards I introduced the Bloxels App and boards. I showed students some examples of games and I modeled how to create a simple game. On the back of their storyboards, students planned out their levels. One of the biggest attractions of Bloxels was the physical boards. Technically, you don't need the boards, everything can be done in the app. However, in my experience, students really enjoy this part of the building process, and if done correctly it can encourage a lot of communication between students. I will admit that I made the mistake of having students work individually on this task. I was worried that my students would have difficulty sharing the iPads. Also, I wanted everyone to have a lot of time with the boards and apps. Next time I would want to have more boards and blocks available (We had 5 boards and 6 students). With more boards and blocks, students could work in teams building levels and characters but use their own iPads. Another problem we faced was space. With the Bloxels boards you need a lot of room for kids to combine boards and build games. We didn't have enough blocks so I was forced to squeeze six students around a table built for 4. I am happy to say that it only took a little bit of modeling before students were on their own creating their games. I stayed close by to offer tips on building and animating but students caught on pretty quick and they helped each other figure out the different aspects of game development. We spent 2 hours storyboarding, planning, and building. However, the next time I will schedule 2-3 days (2 hour blocks) instead of one 2 hour block. My students had a blast building and playing their very own video games. It was the highlight of the coding camp. Whenever, we would take a quick break everyone wanted to work on their Bloxels games. After discussing their games with them I realized that they didn't make the connection between their storyboards and their Bloxels game. The characters they created were based on the characters from their stories but the setting and game play were random and unrelated. I believe this happened because we didn't spend enough time discussing how they would transition from a story to a game. I don't think that Bloxels was a good fit for coding camp. However, I do believe that Bloxels would fit in a digital storytelling camp! In a storytelling environment, students would have more time to develop their story elements. Also, we could commit more time understanding game development. In the end students would have the required knowledge and skills to bring their stories to life through a video game. The best way to create your own level is to draw it by hand. The game supplies special paper that you can print to create your levels. On the sides of the paper there are special symbols which represent the unique blocks in the game. Once you've drawn your game, all you need to do is scan the paper with your iPad and it becomes a new sheet in your game. I would recommend using a ruler because the scanning process isn't perfect. Some blocks my not turn out as you expected. However, you can easily fix this from within the game editor. The arcade is filled with games created by people from all over the world. This is a great place to share your own created game or find ideas for a new game that you would like to create. This game has a lot of potential for classroom use. As I mentioned above I love to engage students with digital story telling tools. For this game I have a few ideas I would like to try in the near future with my classes. 1. My first idea would be to have students create a story based on the characters from the game. They can write the story in their notebooks or create the story in the Book Creator App. Once their stories are completed students would work together to design the levels based on their stories. This would be a great way for students to combine their stories and games in to one. In the end, we would screencast our iPads and students would give a virtual tour of them game, explaining how it connects to their story. 2. Another idea would be for students to create levels and share them with students abroad. Students from other countries would share their levels (Through drawings or the Arcade). Finally, students would create stories from their levels that were share with them. As you can see, the app has a lot of potential. I am hoping for more characters and level designs to get added in the future. Also, it would be fantastic if they added the Boss characters to the level design, as well as, the ability for children to create their own characters. Few games other than Minecraft have sparked my interest for classroom use in recent months. The games that have, are riddled with in-app-purchases and advertisements. However, Pixel Press recently released Adventure Time: Game Wizard for the iOS and Android. I love using the iPad as a tool for digital story telling. There are so many great apps that combine to engage students in the wonderful world of storytelling. Moreover, these stories can easily be shared or written collaboratively with classrooms from around the world. Game Wizard is a new and interesting way for students to collaborate on a story through a platform game. The game is based on familiar characters from the Cartoon Network. The game is divided into three sections: Play, Create, Arcade. Game Wizard is a simple but entertaining platform game. There are 5 characters to unlock (More to come later), each with it's own special abilities and movements. The object of the game is to work your way through the different worlds collecting coins, unlocking characters and defeating bosses. To reach the end you will need to use each of the characters' special abilities and movements at the right time. Once you've finished creating your game, you can chose from 4 unique design layouts. The layouts really bring your game to life. This is where you add your enemies as well. There is a limit to the amount of enemies you can add to each sheet but it doesn't take away from the game at all. You can add more sheets to extend your game or you can keep the game to one sheet or level. When you add new sheets your end points become check points which allows you to move more freely between levels. Creating your own green screen in MCPE is very simple. All you need is some green wool or green emeralds as a background and you are all set. We even experimented with green windows in vehicles to simulate moving. In the photo above we used a blue screen to simulate a large forest. Overall the experience has been very positive for me and my students. Students learned a lot about how to create a movie and spent a lot of time practicing key English skills. This summer vacation we will be working on coding skills. I look forward to sharing our experiences! Making movies is a great way for my EFL students to practice their writing and speaking. However, as the students reach the upper elementary and middle school grades they shy away from showing their faces on screen. To remedy this problem I started using Minecraft PE (MCPE) instead of live action movies. All of my students, no matter their age, love Minecraft. So when I asked them if they wanted to make a movie using MCPE they were pretty excited. We started with the script. With my primary classes we wrote the script together using the iPad app Celtx. Celtx is a fantastic and simple app for writing, screen plays, podcasts, and even TV commercials. With my upper elementary students we used Google Docs to create the script. After practicing and revising the script we proceeded to create storyboards for the movie. In the beginning we used just simple paper and pencils. However, when Paper 53 for the iPad came out it was our go to app for storyboarding. To help my students understand about storyboarding we watched the kids from Animation Chefs explain storyboarding for stop motion. Even though we weren't creating a stop motion movie the kids on the site did a fantastic job explaining how to create a storyboard for a movie. The final step before filming was to create the setting. To save time I imported buildings from PC Minecraft into our MCPE world. This was very simple using a few programs on my Macbook. However, when Minecraft PE was updated to version 0.10.0, and IOS updated to version 8, it is not possible to import worlds or structures into MCPE on the iPad unless you use Pocket Mine. Because certain blocks and mobs are limited in pocketmine we often built scenes in both Pocketmine and regular MCPE. This allowed us to film monster fight scenes. With the scripts printed and practiced we began filming. I used Reflector and Screen-Cast-Omatic to record the screen cast of my iPad. I would act as the camera. One tip here would be to turn off the GUI on the iPad to hide the D-Pad and items. It's a little tricky to move around but it gives you a nice clear picture. We began experimenting with filming techniques such as green screen and camera angles. Also, we used a lot of different apps to add special effects to our movies. Here are a few apps that we've used and how we incorporated them into our movies. Toontastic is the best cartoon creating app on the App store. I use it a lot with my primary students for story telling activities. Toontastic has some fun and cool special effects, like rain, snow, bombs and much more. With the use of a green screen (More on this later for minecraft) we added these special effects to our Minecraft movies. There are a few green screen apps on the app store, however, Green Screen by DoInk is by far the best. We use it all the time for any live action videos we produce in class. Using green screen in Minecraft was a really easy. All we did was create a background with either green wool blocks or blue wool blocks. Once we've completed filming students could easily edit the videos in the Green Screen app and add any background or video they wanted. One of our Live Action/Minecraft movies was about superheroes. This app was perfect for giving each student super abilities. There maybe a way to incorporate the app into Minecraft but we haven't experimented with that just yet. X-Mirage is a screen mirroring and recording app for the Mac. I was able to pick it up for free during a sale on Cult of Mac. What I like about the app is that it allows students to mirror their iPads to my Macbook and it allows me to record their screen. I have a 15 inch Macbook Pro, so I was able to mirror and record 3 iPads at once. This allowed us to use multiple camera angles.